He’s almost laughable really, and yet how does the angel of the Lord greet him? “Mighty warrior” (Judges 6:12). Then Gideon receives his mission in language we may find very familiar: “Go . . . Am I not sending you? . . . I will be with you” (vv14, 16). And this coward of a man who has excuses and doubts also has the Spirit of the Lord come upon him (v34). In God’s power and by the work of the Lord’s hand, Gideon ends up leading a very small army to victory over Israel’s very mighty and oppressive enemies, the Midianites. Is the angel of the Lord simply flattering Gideon by naming him a “mighty warrior”? No. He is giving Gideon a new name, calling out in him an identity that is not rooted in his natural strengths (or weaknesses) but in the work of the Holy Spirit in and through Gideon. This story echoes into the life of the early church when Jesus gave fishermen and tax collectors new identities and the Great Commission, filled them with the promised Holy Spirit at Pentecost—and thousands were saved. Throughout church history and still today, Jesus speaks new names—and Spirit-empowered followers see great moves of God. I don’t know about you, but sometimes when I think about issues of justice and compassion, I get . . . well, overwhelmed. Going down the street and bringing the Light into the mess of a neighbour’s life is a stretch some days, let alone fighting against human trafficking or caring for refugees or whole nations impoverished with no hope of a government bailout. Who am I? 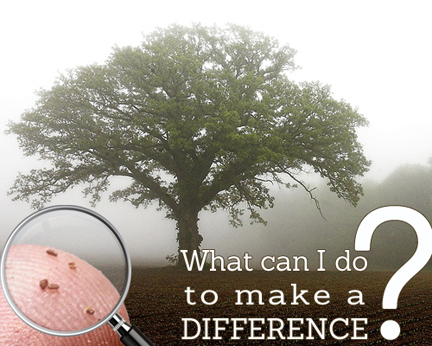 What can I do to make a difference? I’m just like Gideon—a coward—but with a new name. 1. What fears, doubts, or excuses do you carry around with you like Gideon? What are the areas in which you need to live in the reality of your new identity in Christ and trust in the power of the Holy Spirit to work through you? 2. Dream with me: What might God do with an individual (you! ), a whole small group, a whole church, a whole denomination that is Christ-centred, Spirit-empowered, and mission focused? Jenica Van Essen is serving as a missionary apprentice in Halifax, NS along with her husband, Dan, and their two young sons, Elliot and Arie. Their vision is to see a movement of Christcentred, Spirit-empowered, and mission-focused disciple-making disciples committed to kingdom purposes across Atlantic Canada and beyond.